Adjustable elastic waistband won't slip or ride up. 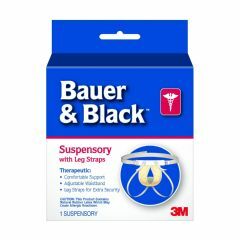 AllegroMedical.com presents The Athletic Supporter with leg straps. With leg straps. Adjustable elastic waistband won't slip or ride up.